Coimbra ([kuˈĩbɾɐ, ˈkwĩbɾɐ]) is a city and a municipality in Portugal. The population at the 2011 census was 143,397, in an area of 319.40 square kilometres (123.3 sq mi). The third-largest urban centre in Portugal (after Lisbon and Porto), it is the largest city of the district of Coimbra, the Centro region and the Baixo Mondego subregion. About 460,000 people live in the Região de Coimbra, comprising 19 municipalities and extending into an area 4,336 square kilometres (1,674 sq mi). The city, located on a hill by the Mondego River, was called Aeminium in Roman times. It fell under the influence, administratively, of the larger Roman villa of Conímbriga (in Condeixa-a-Nova), until the latter was sacked by the Sueves and Visigoths between 569 and 589 and abandoned. It became the seat of a diocesis, replacing Conímbriga. Although Conimbriga had been administratively important, Aeminium affirmed its position by being situated at the confluence of the north-south traffic that connected the Roman Bracara Augusta (later Braga) and Olisipo (later Lisbon) with its waterway, which enabled connections with the interior and coast. The limestone table on which the settlement grew has a dominant position overlooking the Mondego, circled by fertile lands irrigated by its waters. Vestiges of this early history include the cryptoporticus of the former Roman forum (now part of the Museu Nacional de Machado de Castro). The move of the settlement and bishopric of Conimbriga to Aeminium resulted in the name change to Conimbriga, evolving later to Colimbria. During the Visigothic era (around the 8th century), the County of Coimbra was instituted by King Wittiza; a sub-county of his dominion, it was established as a fief for his son Prince Ardabast (or Sisebuto), with its seat in Emínio (the Visigothic name for Coimbra), which persisted until the Muslim invasion from the south. The first Muslim campaigns that occupied the Iberian peninsula occurred between 711 and 715, with Coimbra capitulating to Musa bin Nusair in 714. Although it was not a large settlement, Qulumriyah (Arabic: قُلُمْرِيَة‎‎), in the context of Al-Andalus, was the largest agglomerated centre along the northern Tagus valley, and its principal city boasted a walled enclosure of 10 hectares, supporting between 3000 and 5000 inhabitants. Remnants of this period include the beginnings of the Almedina, Arrabalde and the fortified palace used by the city's governor (which was later converted into the Royal Palace by the early Portuguese monarchs). The Christian Reconquista forced Muslim forces to abandon the region temporarily. Successively the Moors retook the castle in 987–1064 and again in 1116, capturing two castles constructed to protect the territory: in Miranda da Beira (where the garrison was slaughtered) and in Santa Eulália (where the governor rendered his forces rather than facing a similar massacre). The reconquest of the territory was attained in 1064 by King Ferdinand I of León and Castile, who appointed Dom Sisnando Davides to reorganize the economy and administer the lands encircling the city. The County of Portucale and the County of Coimbra were later integrated into one dominion under the stewardship of Henry of Burgandy by Alfonso VI of León and Castile in 1096, when Henry married Alfonso's illegitimate daughter Theresa. Henry expanded the frontiers of the County, confronting the Moorish forces, and upon his death (in 1112), Theresa, Countess of Portucale and Coimbra, unified her possessions. Their son, Afonso Henriques, who would take up residence in the ancient seat of the Christian County of Coimbra, sent expeditions to the south and west, consolidating a network of castles that included Leiria, Soure, Rabaçal, Alvorge and Ansião. During the 12th century, Afonso Henriques administered an area of fertile lands with river access and protected by a fortified city, whose population exceeded 6000 inhabitants, including magnates, knights and high clergy. The young Infante encouraged the construction of his seat, funding the Santa Cruz Monastery (the most important Portuguese monastic institution at the time, founded in 1131 by Theotonius), promoted the construction of the Old Cathedral, reconstructed the original Roman bridge in 1132, recuperated fountains, kilns, roads and stone pavements, as well as renovating the walls of the old city. In order to confirm and reinforce the power of the concelho (municipality) he conceded a formal foral (charter) in 1179. Meanwhile, on the periphery, the municipality began to grow in various agglomerations, notably around the monasteries and convents that developed in Celas, Santa Clara, Santo António dos Olivais. 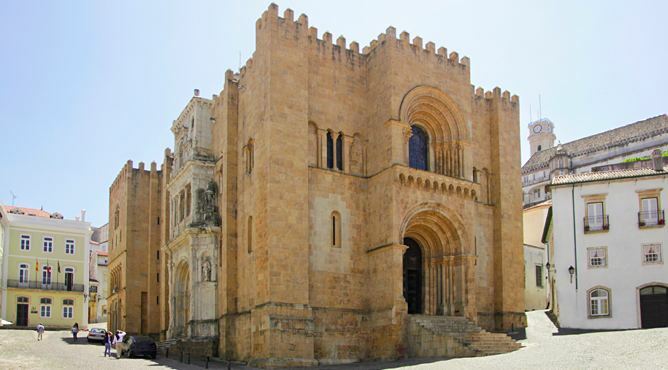 The most important work in Gothic style in the city is the Monastery of Santa Clara-a-Velha, founded on the left side of the river Mondego by Queen Elizabeth of Portugal in the first half of the 14th century. It stood too close to the river, and frequent floods forced the nuns to abandon it in the 17th century, when the Monastery of Santa Clara-a-Nova was built uphill. The Queen's magnificent Gothic tomb was also transferred to the new convent. The ruins of the old convent were excavated in the 2000s, and can be seen today in the left bank of the river. In the 15th and 16th centuries, during the Age of Discovery, Coimbra was again one of the main artistic centres of Portugal thanks to both local and royal patronage. Coimbra bishops, religious orders and King Manuel I supported artists like Diogo Pires (father and son), Marcos Pires, João de Castilho, Diogo de Castilho and the Frenchmen, João de Ruão and Nicholas of Chanterene, among others, who left important Manueline and Renaissance works in the town. 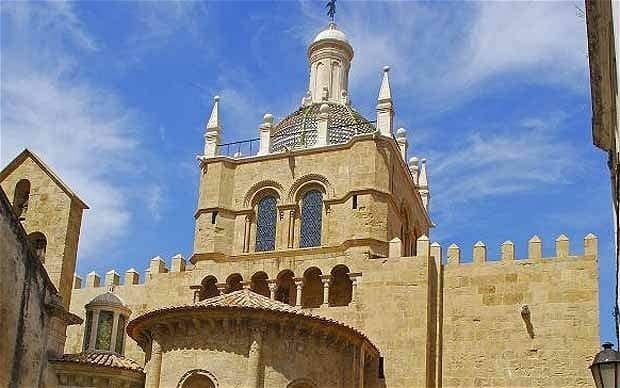 Dating from this period are the remodelling (in manueline style) of the Santa Cruz Monastery, including the tombs of Kings Afonso Henriques and Sancho I, the Renaissance Manga Fountain, the altarpieces and triumphal portal of the Old Cathedral, among other works. 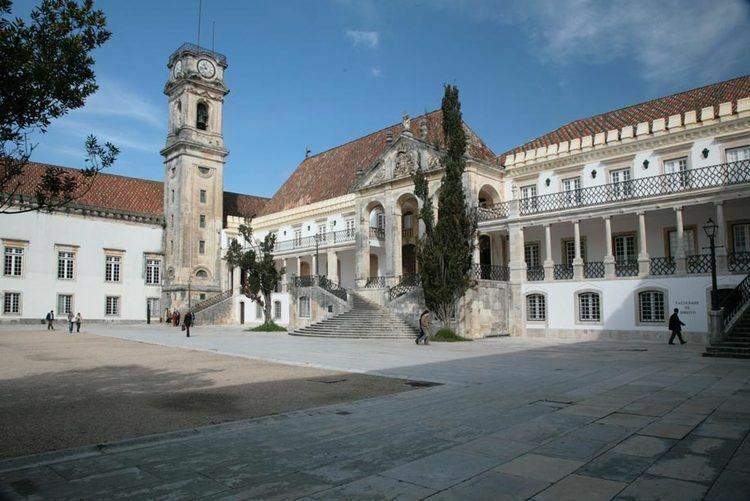 The University of Coimbra, was founded as a Studium Generale in Lisbon in 1290 by King Dinis I. The University was relocated to Coimbra in 1308, but in 1338 the King D. Afonso IV returned the University to Lisbon. 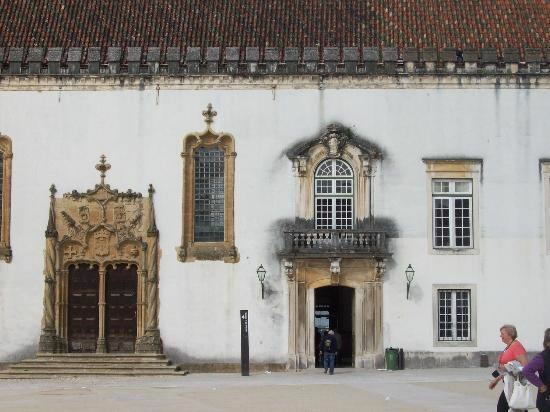 The University was definitively transferred to the premises of Coimbra Royal Palace in 1537 by King John III, and expanded by 1544 to occupy the Coimbra Royal Palace. Since then, city life has revolved around the state-run university. 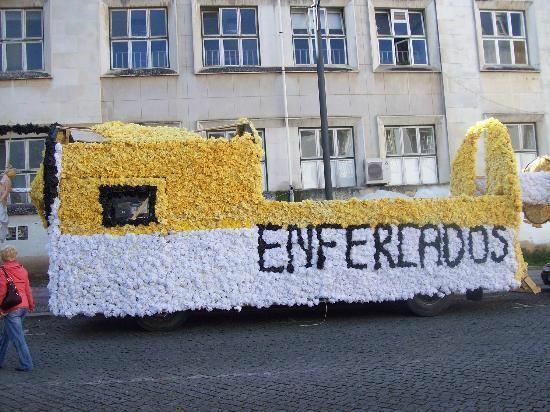 For many decades, several colleges (colégios) established by the religious orders provided an alternative to the official institution, but were gradually discontinued with the secularization of education in Portugal. Built in the 18th century, the Joanina Library (Biblioteca Joanina), a Baroque library, is other notable landmark of the ancient university. The Baroque University Tower (Torre da Universidade), from the school of the German architect Ludovice and built between 1728 and 1733, is the city's library. By 1854, with the expulsion of the religious orders and municipal reforms, the need to reorganize the municipality of Coimbra forced some changes in the existing structure of the administrative divisions. Consequently, documents were sent (on 20 January 1854) to the Ministries of Ecclesiastical Affairs (Portuguese: Ministério dos Negócios Eclesiásticos) and Justice (Portuguese: Ministério de Justiça) urging the identification by the Civil Governor and Archbishop of Coimbra (Manuel Bento Rodrigues) of the number of civil parishes to preserve, their limits, the political organs to be retained, a local census and other statistics to justify the demarcation of the territory. A commission of five members, that included João Maria Baptista Callixto, António dos Santos Pereira Jardim, Roque Joaquim Fernandes Thomás, João Correia Ayres de Campos and António Egypcio Quaresma Lopes de Carvalho e Vasconcelos, were appointed to produce a plan to reduce, suppress, demarcate and establish civil parishes in the city of Coimbra and its suburbs. On 1 January 1911, electric tramways were inaugurated to connect the old quarter with its expanding periphery, that included the residential areas of Celas, Olivais, Penedo da Saudade and Calhabé, all of these located in the civil parish of Santo António dos Olivais. This was only the initiation of the municipality growth. Civil construction projects throughout the region marked the economic activity of the territory, with new areas such as Montes Claros, Arregaça, Cumeada and Calhabé growing in the shadow of the city. Even projects that had been planned at the end of the 19th century gained new initiative, including the expansion of the Santa Cruz neighbourhood (bairro), the demolition of the residential area of the Alta de Coimbra (1940–50) to expand the University, and construction or expansion of the bairros of Celas, Sete Fontes and Marechal Carmona (now the bairro of Norton de Matos). The municipality is circled by several of its neighbouring municipalities in the Baixo Mondego region, which include Penacova (in the northeast), Vila Nova de Poiares (to the east), Miranda do Corvo (to the southeast), Condeixa-a-Nova (to the south and southwest), Montemor-o-Velho (to the west), Cantanhede (to the northwest) and Mealhada (in the north and northeast). Just outside the municipality, there are also several picturesque mountain towns such as Lousã and Penacova, while spa towns and villages, such as Luso, Buçaco and Curia are commonplace. The two banks of Mondego river at Coimbra, are linked by three main bridges: the Ponte do Açude; the Ponte de Santa Clara (Santa Clara bridge), which is the oldest, and the Ponte Rainha Santa also known as Ponte Europa, finished in 2004. The Ponte Pedonal de Pedro e Inês is the most recently constructed bridge and is the only footbridge in the city. Coimbra has several rail stations. The principal station Coimbra-B is on the main line between Porto and Lisbon. From this, a small spur runs to Coimbra-A, the main station in the city centre. A small regional rail line (Linha da Lousã) also ran from Coimbra Parque at the south edge of the city centre. From Coimbra-Parque was possible to travel to Miranda do Corvo, Lousã and Serpins, among others. This line was closed for upgrading as part of the Metro Mondego project and was never re-opened when the Metro Mondego project was abandoned, however there is local agitation for this line to be reopened. Also it is possible to travel by train between Coimbra and Figueira da Foz (Ramal de Alfarelos), and Coimbra, Guarda and Vilar Formoso (Linha da Beira Alta [international]). Coimbra is served by motorway A1 which connects Lisbon to Porto. A regional aerodrome is located in Cernache (Aeródromo Municipal Bissaya Barreto) (CBP) [PCO], 7.5 kilometres (4.7 miles) SW of the city downtown. With a 920 metres (3,018 feet) runway and Flight Information Service until the sunset, this regional airport has all the fundamental facilities for private flights. The average amount of time people spend commuting with public transit in Coimbra, for example to and from work, on a weekday is 35 min. 2.39999999999999% of public transit riders, ride for more than 2 hours every day. The average amount of time people wait at a stop or station for public transit is 12 min, while 16.8% of riders wait for over 20 minutes on average every day. The average distance people usually ride in a single trip with public transit is 2 km, while 0% travel for over 12 km in a single direction. The city has also a large number of public and private basic and secondary schools, among these some of the best-ranked in the country, like Escola Secundária Infanta D. Maria (public), Escola Secundária José Falcão (public), "Escola EB2/3 Martim de Freitas" (public) and Colégio Rainha Santa Isabel (private), as well as several kindergartens and nurseries. There is also the Coimbra Hotel and Tourism School. Nuno Piloto, Portuguese footballer, captain of the Associação Académica de Coimbra O.A.F. football team. Paulo Furtado, the leading vocalist of the band Wraygunn.